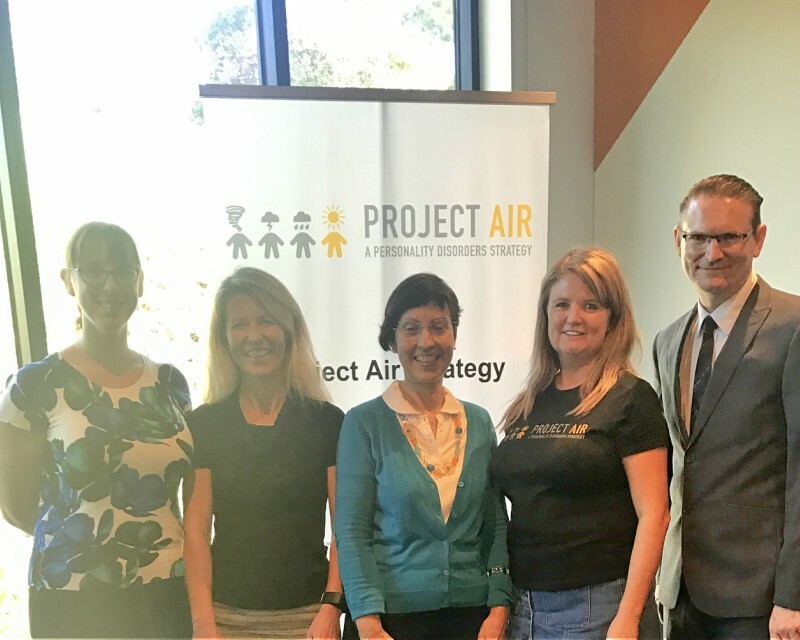 Liz Huxley and Judy Pickard from Project Air, Julia Smailes from NSW Ministry of Health, WSLHD’s Clodagh Ross-Hamid and Project Air director Brin Grenyer at the recent one-day skills workshop at ATURA Blacktown. The Project Air Strategy for Personality Disorders is rolling out at a fast pace through mental health services at Blacktown, Cumberland and Westmead. To date, more than 440 mental health clinicians across WSLHD have been trained in brief and specialised interventions for inpatients and outpatients who endure chronic distress related to suicidality, self-harm, interpersonal conflicts, impulsivity and emotional issues. A motivated implementation committee, comprised of senior clinicians, team leaders, educators and specialists, has been formed to advance the key objectives of the strategy, aiming to increase access to, and enhance the quality, of clinical services for consumers. Map clinical services for people with personality disorders across WSLHD Mental Health and Drug Health services to facilitate a unified stepped model of care. Facilitate the development of gold card/brief intervention clinics across Blacktown and Westmead. Have access to ongoing, specialised skills training programs delivered internally through WSLHD. Develop ancillary peer support, supervision and complex case review programs for acute, sub-acute and community mental health teams. Work with child and adolescent mental health and educational services to develop brief interventions for young people with emerging personality disorder. Develop meaningful relationships with consumer and carer networks to develop effective models of care, evaluate outcomes, and reduce latent stigma around personality disorder. Develop innovative internet-based programs to engage clinicians, consumers and carers in promoting awareness of personality disorder, and facilitating access to resources and services. The implementation committee meets fortnightly – we welcome interested and energetic clinicians to our meetings. A big shout-out to the proactive clinicians in the Blacktown Early Access Team (BEAT) and Prevention Early Intervention and Recovery Service (PEIRS) team, who are commencing brief intervention programs within their respective services.